Bracelet bold and delegate woven or delicate bracelet both sterling silver (925). All bracelets are handcrafted by our traditional silversmith on Bali. 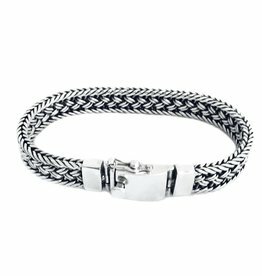 Cool bracelet, braided with a beautiful clasp with extra security. The bracelet is handmade of massive (925) silver. 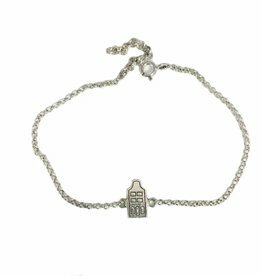 Sterling silver handmade bracelet with box clasp with safety pin, several lengths. 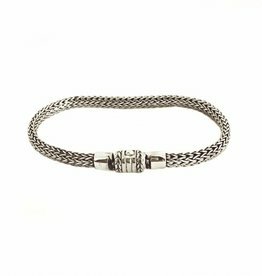 Sterling silver bracelet with hook clasp, length ca. 18,5 cm. Spiritual silver bracelet with a circle of life pendant and pink sapphire. Length bracelet 16,0 cm, with an extension chain of 4 cm. Spiritual silver bracelet with a circle of life pendant and greenish blue sapphire. Length bracelet 16,0 cm, with an extension chain of 4 cm. 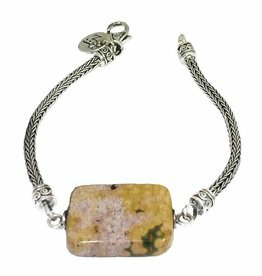 Spiritual silver bracelet with a circle of life pendant and yellow sapphire (Pukhraj). Length bracelet 16,0 cm, with an extension chain of 4 cm. Friendship bracelet. 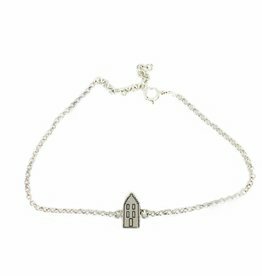 Gabled house Amsterdam sterling silver bracelet, bell gable. Sterling silver (925) bracelet with step gable house, Amsterdam.